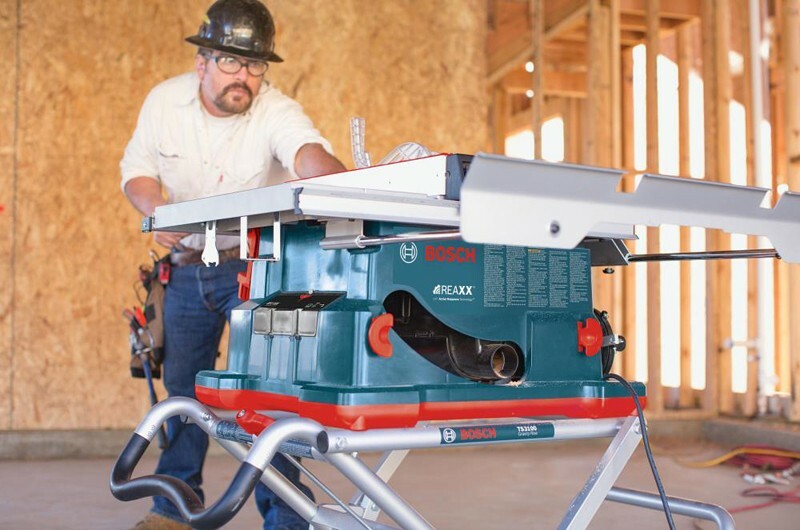 We know that purchasing a tool like the Bosch Reaxx Jobsite Table Saw is an investment, and we wanted to make this investment a little easier on your pocketbook. Starting today, and ending on June 10th , entering PromoCode: ToolRankReaxx at checkout will get you an instant discount of $50 off of the Reaxx Table Saw . If you need more than one saw for your business, you get $50 off each saw, and there is no limit. This offer is exclusive to ToolRank readers and Acme Tools; any other store is going to charge you full price. Use your saved $50 however you like, maybe to buy your new table saw an extra saw blade, or to bribe your wife with a nice dinner. It is up to you. Remember, this offer ends 6/10/16, so don't hesitate for too long, and be sure to tell your friends so they can save too. Acme Tools has the Bosch Reaxx Jobsite Table Saw (GTS1041A-09) in stock and ready to ship. If you order by 11am CST, it will ship same-day. 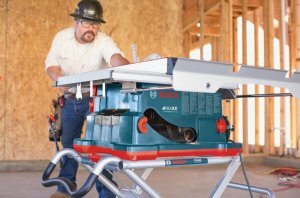 What is the Reaxx Table Saw and why do you want one? The newest Bosch table saw features flesh-detecting technology that can sense when a body part comes into contact with the moving blade. When the safety feature is triggered, the saw moves the blade away from your flesh so quickly, it reduces or completely eliminates injury. 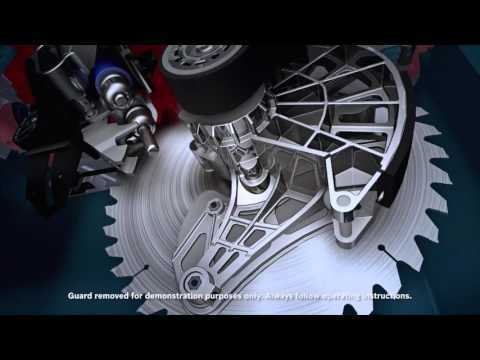 You can check out the video below to see the saw in action.